After finding refuge in the town of Ziklag in the region of Gath, David took to war with the enemies of the Israelites including the Amalekites. In no time, David gained Achish’s confidence. But very soon the kings of all the Philistine provinces came together and attacked the Israelites once again. 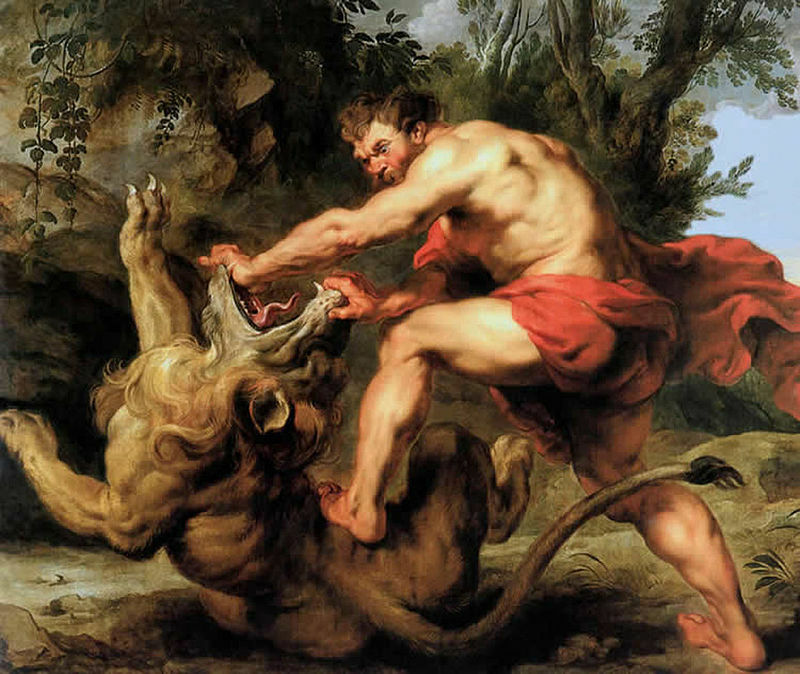 The massive Philistine aggression added to Saul’s fears. He had already lost his confidence and his thinking capacity due to his vice of jealousy and hence was unable to see reason. He pleaded with God but did not receive any answer from Him. Now trembling with fear, he turned to an option that was absolutely ill-advised and imprudent – he took to witchcraft! Witchcraft was actually banned as per the rules and tenets of the Jewish ‘Torah’. 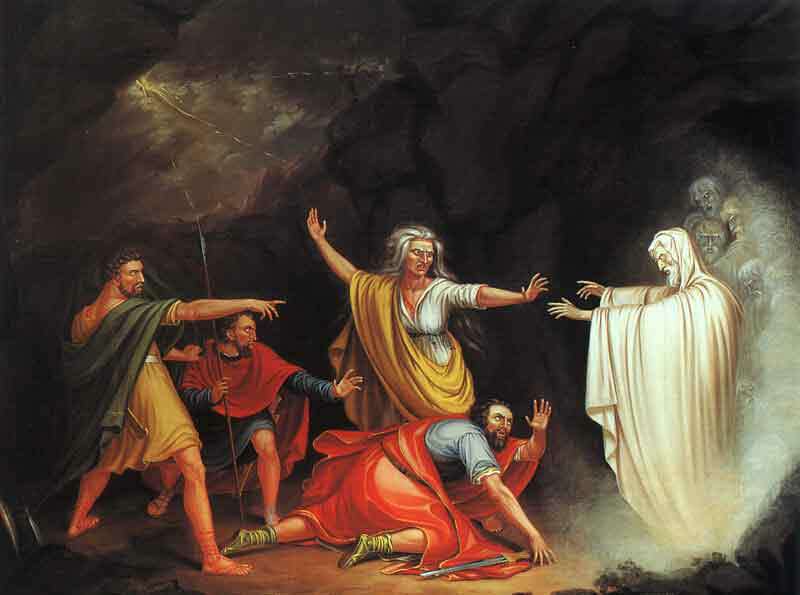 But having lost his capacity to think, Saul took help of an infamous witch of the times and asked her to summon Samuel’s spirit. When Samuel’s spirit appeared, it prophesized the defeat of the Israelites and the death of Saul and his children in the war, so says the story. 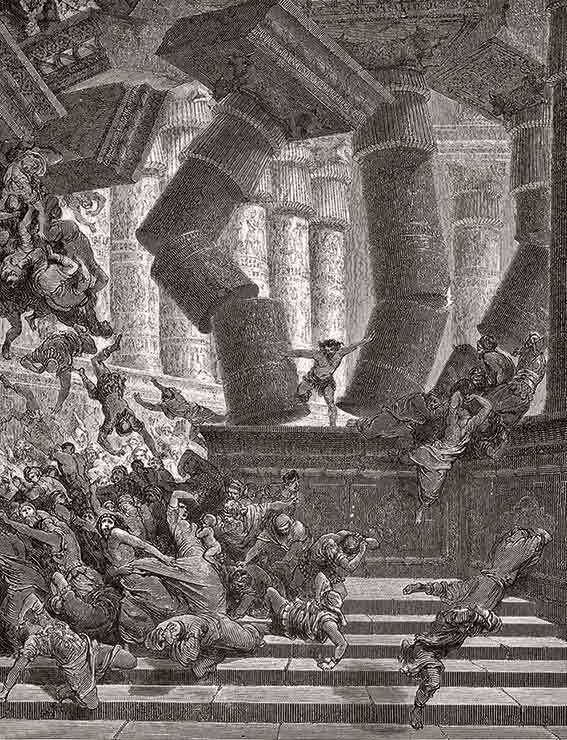 The events on the battlefield only confirmed Samuel’s prophecy. 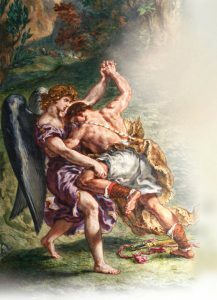 To the exception of one, all of Saul’s sons including Jonathan were killed and the enemy’s arrows left Saul wounded too. Despair getting the better of him, Saul stabbed himself with his own sword and committed suicide. 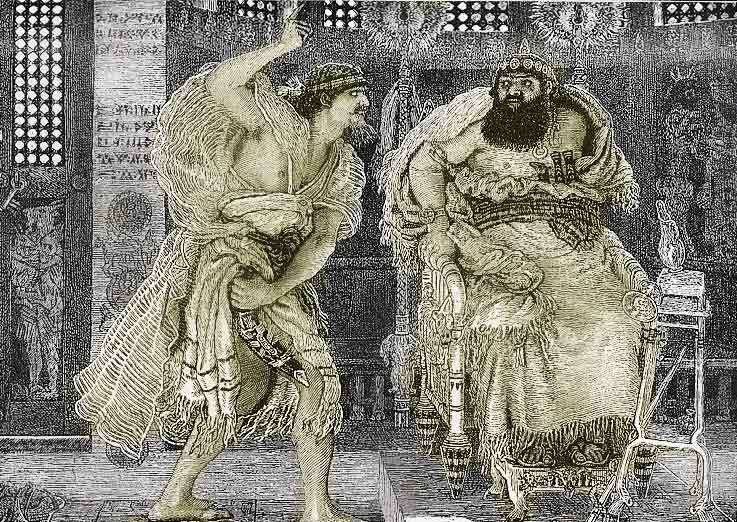 Saul – the first King of Israel, who had ruled for about forty years, had met an unfortunate end. Seeing their king fall to the ground, the Israelite army began to flee. In wild jubilation, the Philistines hung Saul’s dead body at the boundary of nearby village of Beit She’an. But the brave Israelites from the nearby town of Jabesh-Gilead, immediately set out to retrieve the body and succeeded. They performed the last rites for Saul with full honours. Back in Ziklag, on hearing the news, David and his loyalists were drowned in a sea of sorrow. Though Saul was on David’s trail to kill him, for David, Saul was their King, the King of all the Israelites, appointed by God. Hence left grief-stricken by Saul’s death, David expressed his sorrow in the form of a dirge (sad song). 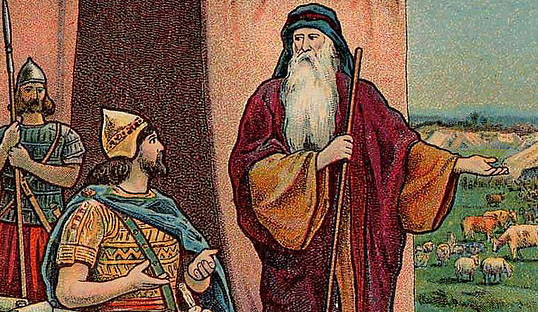 Following Saul’s death, David realized that a ‘kingdom without a king’ spelt danger and hence felt it necessary to take over the Israelite leadership. He had in any case been selected as King-designate of Israel. Besides, Samuel had also performed all the necessary holy rituals. Hence when he reached the city of Hebron in the land of Judah, the local Israelites declared him as the ‘King of Israel’. 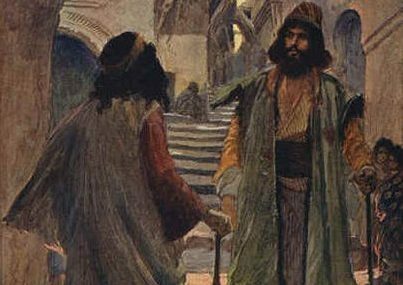 Equipped with qualities of a brave warrior, a poet and a religious preacher during the times of need, the Israelites in Judah felt that David was the apt person to lead them as king in the prevailing difficult times. 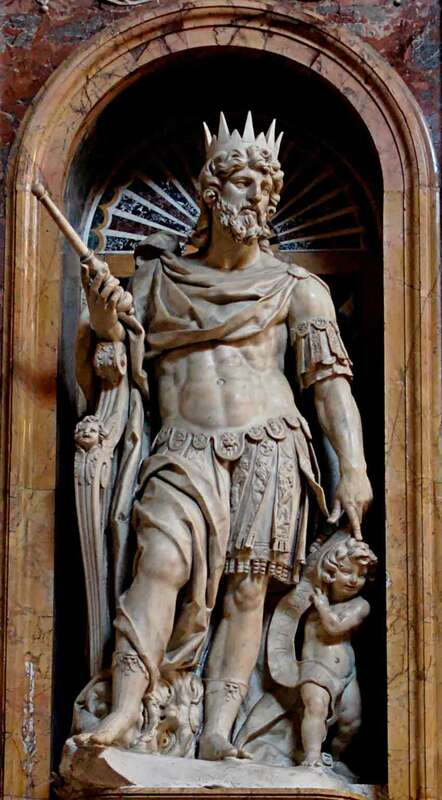 The tenure of David – the second King of Israel, had thus begun. 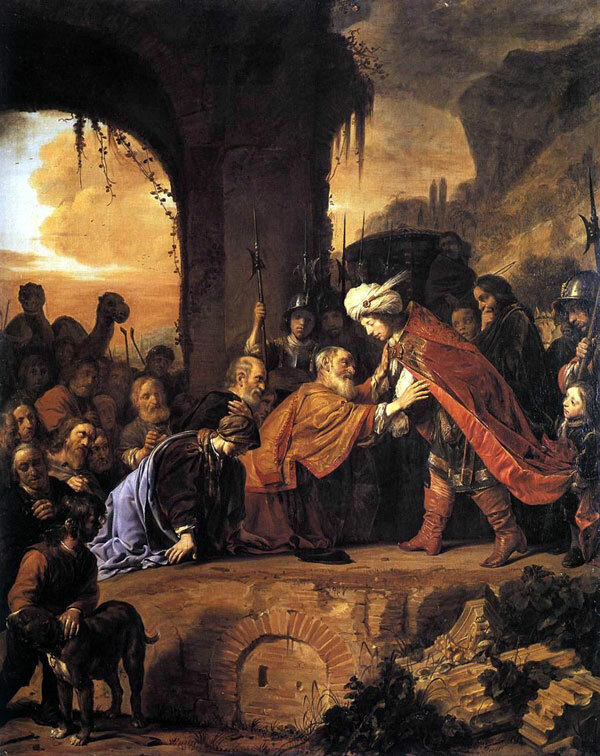 But not many were aware of David’s appointment and courtier officers loyal to Saul revolted against David and appointed Ishbosheth, the only surviving son of Saul, as the next king of Israel. As a result some parts of Canaan came under David’s rule while the rest were ruled by Ishbosheth. However, within a couple of years, Ishbosheth who was originally a weakling was murdered during an internal discord. It was during this time that people gradually realized the fact that David was the one who was indeed appointed as the King-designate and thus all the Israelites accepted David’s authority and leadership. As a result, all the areas in the land of Canaan under the Israelite command were now ruled by David. David was very popular among the Israelites and he too was taking good care of them. For the next seven years David managed the state of affairs from Hebron but was actually keen to make ‘Jerusalem’ his capital. Jerusalem was considered safe as the city was situated on the border between the lands allocated to the tribes of Judah and Benjamin. Moreover, it also had a distinct strategic importance. Half of the land of Judah that bordered Jerusalem was under the Judean control but the rest was still occupied by the Jebusites. They safely resided in the ‘Citadel of Zion’ that had strong fortification. Having decided to capture the city, David selected the best of his warriors and proceeded for Jerusalem. Jebusites, more than sure that their fortification was impregnable, did not give importance to David’s arrival. But David had come with a fierce and stern determination of capturing Jerusalem at any cost. Accordingly, many of the tough and fierce warriors of David climbed the fortification to capture the citadel. 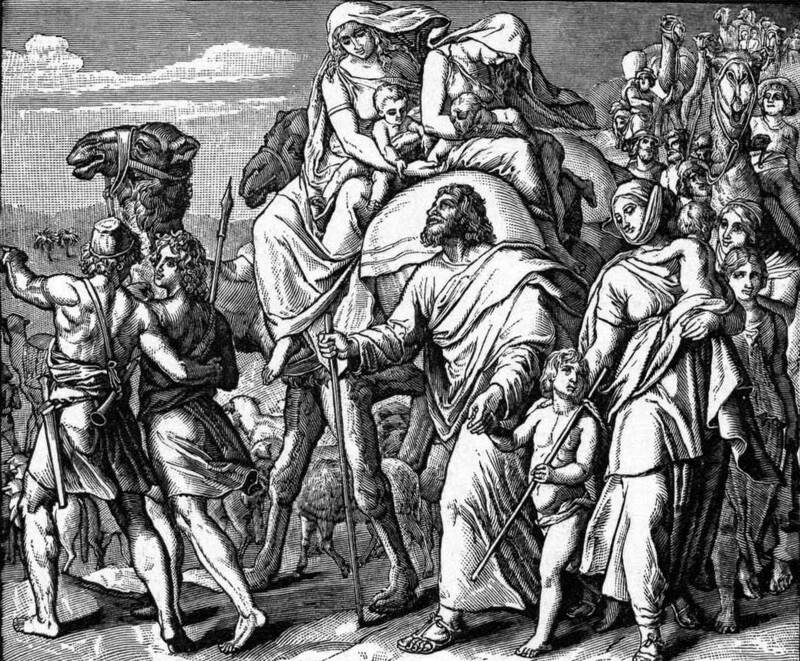 David then moved his capital to Jerusalem. The Israelites prospered with every passing day. The citadel gradually transformed into a city and the city kept expanding. 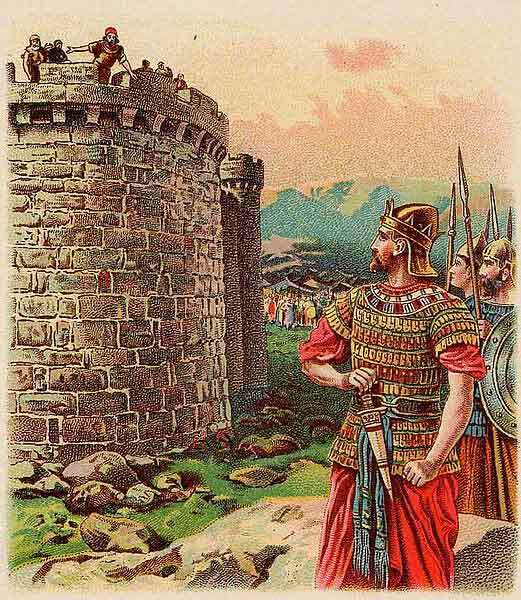 David then further strengthened the fortification around the city. The period is said to date back to around the 9th – 10th century BC. During this time, Israel faced several attacks by its various enemies from the neighbouring regions, especially the Philistines, their arch-rivals. But every time Israel faced an enemy aggression, David’s army successfully defeated it. King David not only intended to make Jerusalem his capital but also wanted to turn it into a supreme religious centre of the Jews. Difficulties that time had posed before the Israelites had forced them to establish their symbols and the things of high religious importance at many places spread across the land of Canaan. David intended to bring them all together. His highest wish was to build a permanent ‘Holy Temple’ for the Jews which would host the ‘Ark of the Covenant’.